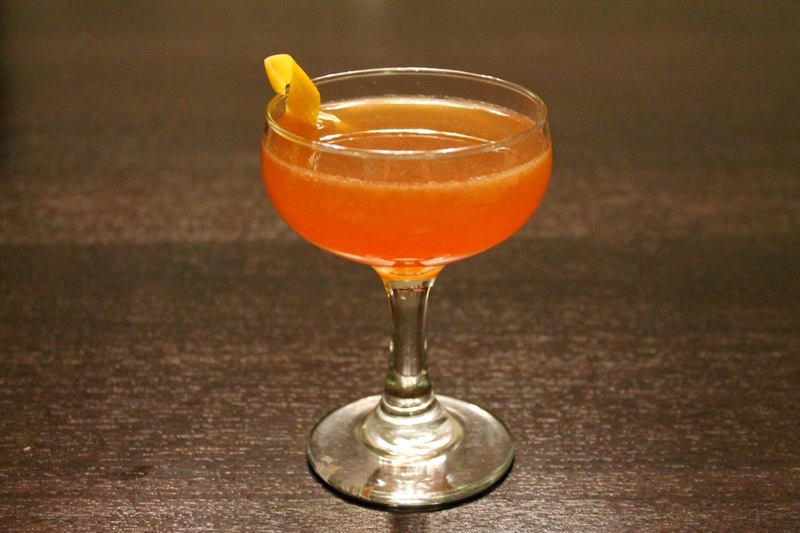 This drink is part of my series of Oscar Cocktails inspired by the 2015 Academy Award nominees for Best Picture. See all of my Oscar Cocktails here. When it comes to Oscar-nominated films, World War II has proven a rich source of material, and The Imitation Game covers yet another key aspect of the conflict: the code-breakers. The film focuses on the critical role of British mathematician Alan Turing (Benedict Cumberbatch), who developed a machine to decode German radio transmissions--an early precursor of modern computers. Despite this accomplishment, Turing's life ended in disgrace within a decade after the war when he was discovered and prosecuted for his homosexuality. The film is nominated for 8 Oscars, including Best Picture, Actor (Cumberbatch), Supporting Actress (Keira Knightley) and Director (Morten Tyldum). 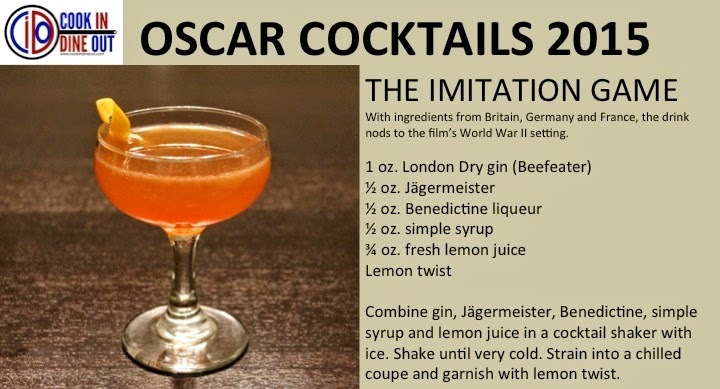 The Imitation Game cocktail is inspired by the film's setting during World War II, with ingredients from three of the key countries in the conflict: British gin, German Jägermeister and French Benedictine. Combine gin, Jägermeister, Benedictine, simple syrup and lemon juice in a cocktail shaker with ice. Shake until very cold. Strain into a chilled coupe and garnish with lemon twist.